﻿Fig. 5. 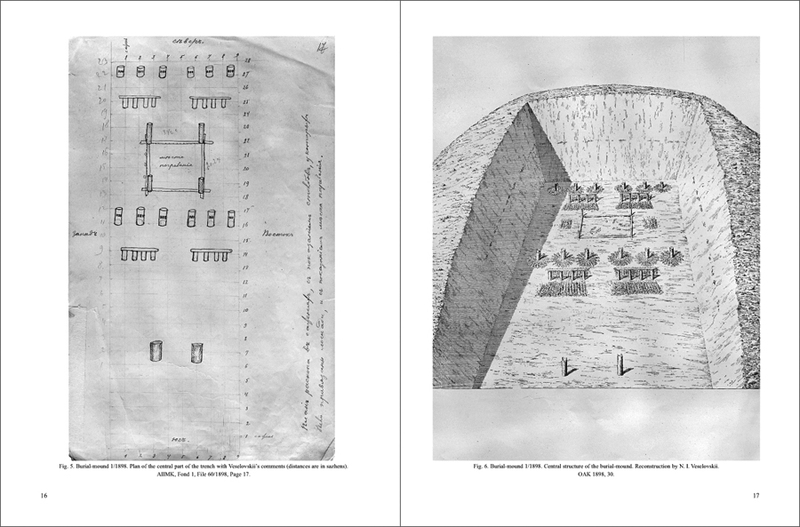 Burial-mound 1/1898. Plan of the central part of the trench with Veselovskii’s comments (distances are in sazhens). AIIMK, Fond 1, File 60/1898, Page 17. Fig. 6. Burial-mound 1/1898. Central structure of the burial-mound. Reconstruction by N. I. Veselovskii. OAK 1898, 30.